Travel with us and discover, Malawi - The Warm Heart of Africa. Our tour starts in Blantyre and we then ride a circular route first heading South to the tea plantations, Mount Mulanje and Zomba and then visit Liwonde National Park and the magical Lake Malawi. Most of the trip (almost 80%) will be on tar/paved roads except for shorter sections of dirt to the lodges/overnight accommodation and of course a few gravel roads to visit interesting places and towns and see some of the lesser-traveled gems hidden in this amazing country. Small groups of only 5-8 motorcycles allow for a more personalised and unique experience. The trip is suitable for intermediate riders and is pillion friendly (because you would love to share this amazing experience with someone special). 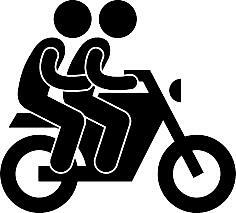 If required, motorcycle rentals can be arranged. This will incur additional costs. If you prefer this option, please contact us for a quotation. Expected Weather: Warm humid days with a remote possibility of some rain. Tour dates were selected to fall outside Malawi's normal rainfall season.